WASHINGTON (Reuters) - A coalition of rights groups launched an online petition on Thursday urging IBM Corp to declare that it will not develop technology to help the Trump administration carry out a proposal to identify people for visa denial and deportation from the United States. IBM and several other technology companies and contractors attended a July informational session hosted by immigration enforcement officials that discussed developing technology for vetting immigrants, said Steven Renderos, organizing director at petitioner the Center for Media Justice. President Donald Trump has pledged to harden screening procedures for people looking to enter the country, and also called for "extreme vetting" of certain immigrants to ensure they are contributing to society, saying such steps are necessary to protect national security and curtail illegal immigration. The rights group said the proposals run counter to IBM's stated goals of protecting so-called "Dreamer" immigrants from deportation. Asked about the petition and whether it planned to work to help vet and deport immigrants, an IBM spokeswoman said the company "would not work on any project that runs counter to our company's values, including our long-standing opposition to discrimination against anyone on the basis of race, gender, sexual orientation or religion." The petition is tied to a broader advocacy campaign, also begun Thursday, that objects to the U.S. Immigration and Customs Enforcement's (ICE) Extreme Vetting Initiative. In an Oct. 5 email seen by Reuters, Christopher Padilla, IBM's vice president of government affairs, cited the company's opposition to discrimination in response to an inquiry about the vetting program from the nonprofit group Open Mic. Padilla said the meeting IBM attended was only informational and it was "premature to speculate" whether the company would pursue business related to the Extreme Vetting Initiative. ICE wants to use machine learning technology and social media monitoring to determine whether an individual is a "positively contributing member of society," according to documents published on federal contracting websites. More than 50 civil society groups and more than 50 technical experts sent separate letters on Thursday to the Department of Homeland Security saying the vetting program as described was "tailor-made for discrimination" and contending artificial intelligence was unable to provide the information ICE desired. 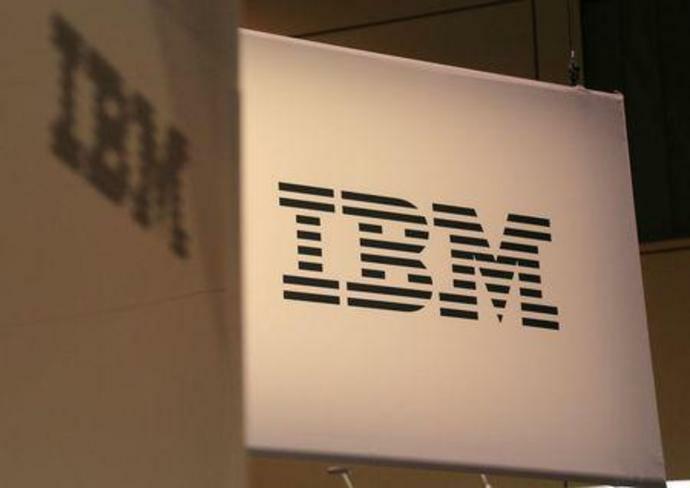 Opponents of Trump's policies ranging from immigration to trade have been pressuring IBM and other technology companies to avoid working on proposals in these areas from the Republican president's administration. Shortly after the presidential election last year, for example, several internet firms pledged that they would not help Trump build a data registry to track people based on their religion or assist in mass deportations. IBM is among dozens of technology companies to join a legal briefing opposing Trump's decision to end the "Dreamer" program that protects from deportation about 900,000 immigrants brought illegally into the United States as children. "While on the one hand they've expressed their support for Dreamers, they're also considering building a platform that would make it easier to deport them," Renderos said. CREDO, Daily Kos, and Color of Change also organized the petition.